Permits? What Permits? We don’t need no stinking permits . . .
Have you recently heard the roar of a tractor or the clanking of a cement mixer in a nearby wooded area where you know no houses exist? Do you suspect that something is going on there without a permit from the county Planning and Resource Management Department (PRMD)? Here’s how to check it out. You will need either the address of the property or the APN number. Then go on line to the Sonoma County PRMD, click on Permit History, write in the address or APN number where indicated to find out if the property owner has applied for and received a permit. Some permits may have been issued in the past and are either closed out (project completed) or are timed out and no longer valid. If you discover that work is going on without a permit, call PRMD (565-1900), choose #5 from the menu for Code Enforcement and leave your name and contact telephone number. If you prefer not to have the owner whom you suspect of doing work without a permit know that you have looked into the project you can explain your concern on the phone to PRMD. Should you fail to get assistance from PRMD, call your District 1 Supervisor Valerie Brown for the east side of Sonoma Mountain or District 2 Supervisor David Rabbit for the the west side of the mountain and describe the problem. Both can be reached at 565-2241. PRMD has less funding now than in the past and even then enforcement did not get the attention some of us would like. In meetings with PRMD management, SMP has brought violations to their attention, and attempted to support the agency in any way appropriate for a volunteer group. You can help, too, by staying vigilant and observing development that seems inappropriate, for example over scale, or being done without a permit visible on the property. Preserving a mountain takes all of us. 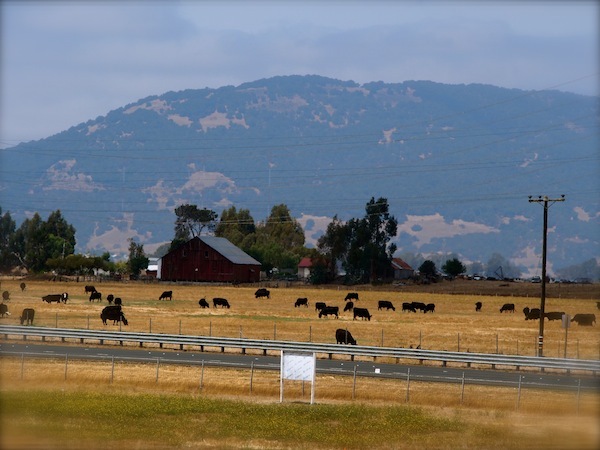 We’ve all experienced a shock as we drive along one of the main roads – Highway 12 or Arnold Drive or Adobe Road, for example – running along the base of Sonoma Mountain and suddenly come upon a large new building under construction or newly completed where we used to see trees. We also know development happens and people have a right to build on their property. But, in Sonoma County, as in all locations with responsible public oversight, all property development plans get reviewed by county officials and must be approved before anything can be built. There are many ways to protect a mountain, as there is reason to love it. One overriding goal for member of Sonoma Mountain Preservation’s steering committee is to preserve the mountain’s beauty – as simple as that. Excessively obtrusive development will destroy the very features of the landscape most of us enjoy. To keep it beautiful SMP leaders wrote a set of development guidelines more than a decade ago. The county adopted the guidelines in 1998 and uses them to inform property owners who want to develop on the mountain. Anyone planning to build on the mountain must submit an Administrative Design Review application to the county Permit and Resource Management (PRMD) project review staff at 2550 Ventura Avenue in Santa Rosa (707-565-1900). Following the design guidelines reduces the visual impact of buildings as seen from designated scenic corridors (most main roads bordering the mountain). Guidelines apply to single-family homes and outbuildings, related roadways, grading sites and utilities. Proposed structures need to be substantially screened by existing vegetation or topographic features when view from a scenic corridor. Exterior colors need to be earth tones that don’t reflect glaringly and blend in with their surroundings. Night lights must have minimal visibility from scenic corridors. Plants used fro screening vegetation need to be indigenous or of similar character and large enough to screen structures within ten years of installation. These friendly guidelines are intended to keep the mountain beautiful in perpetuity, especially from a distance, which is how most of us see it, but they also benefit neighbors of new development. We count on all who love the mountain to know these guidelines, follow them, educate others about them and to help us monitor for compliance with them. And, that’s just one way we work to preserve out mountain.